Last week, Equifax announced hackers stole the personal data of as many as 143 million Americans. The cybercriminals stole information including names, Social Security numbers and driver's license numbers. Here are some tips on what to do if you were affected -- and a little bit about Apple's new $999 phone. 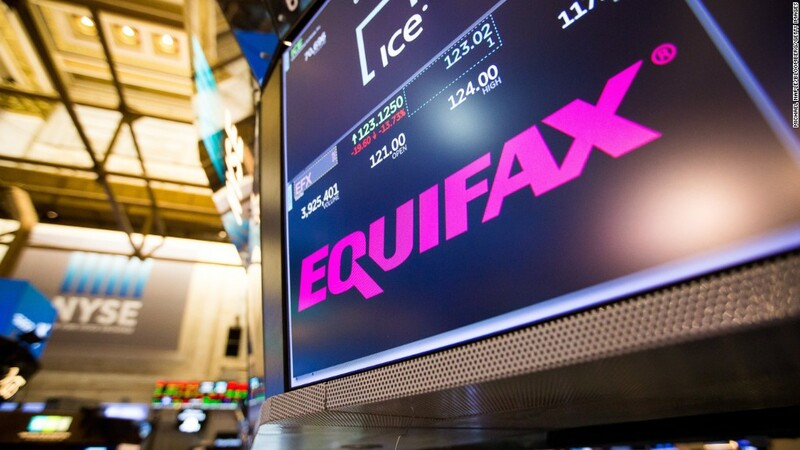 You may have never used Equifax yourself, or even heard of it. Either way, the credit reporting agency could still have a lot of your personal information. To find out if your data was compromised by the hack, go here. Nearly half of Americans had their personal information exposed during the data breach. 2. Go to IdentityTheft.gov to file an identity theft report. 3. Put a freeze or fraud alert on your credit reports. 4. Request, in writing, to close fraudulent accounts. 5. Dispute any fraudulent information on your credit report. It could be a long, messy process but you will get through it. Really. WHAT THE HECK IS A CREDIT 'FREEZE'? In the wake of the breach, many consumers are putting their credit on ice as an extra safeguard. A credit freeze limits who can see your credit report information, stopping anyone from opening new accounts in your name. But there's a catch: It'll block you, too. So if you're shopping for a home or an auto loan, it isn't the best idea. Don't worry though. If you do have a freeze on your credit, but you want to open a new account, you can lift the freeze temporarily. Apple unveiled its biggest redesign to the iPhone in 10 years: The iPhone X. The smartphone comes with an edge-to-edge screen, no home button and face ID. Oh yeah, and a $999 price tag. Not interested? Here's where to get the best deals on an iPhone 7. BUT IS FACE ID SECURE? The new iPhone X can be unlocked with your face. But how secure is the technology? Apple says the chances of someone else unlocking your iPhone are one in a million with Face ID. The processing is done entirely on the device and not in the cloud in an effort to protect a user's privacy. We won't know if the iPhone X will be fooled until it's shipped in November, but experts think Face ID will be more difficult to hack than other systems.